Denial of Service attacks (DoS) are attempts to overload computing resources intended for users. They can cause outages to web sites and network services for small to large organizations. They can also be difficult to defend against and can be quite costly to fix. No one enjoys when their computer gets infected by viruses. This article will explain to you how this happens and some tools you can use to make sure it never happens. 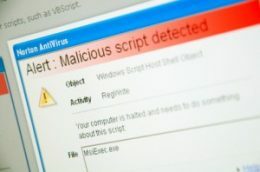 Ways in which users contract malware are by downloading files, visiting suspicious websites, or opening suspicious email attachments.